The following is a list of rulers of Monaco. Most belong to the House of Grimaldi; exceptions, which consist primarily of the principality's administrators under periods of foreign occupation, are noted. The House of Grimaldi, descended from Otto Canella, a Genoese statesman, and taking their name from his son Grimaldo, were an ancient and prominent Guelphic Genoese family. Members of this family, in the course of the civil strife in Genoa between the Guelphs and Ghibellines, were banned from Genoa in 1271 and took refuge in Monaco. 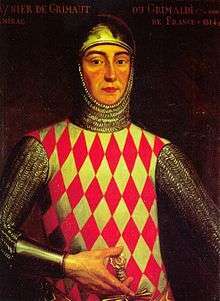 François Grimaldi seized the Rock of Monaco in 1297, starting the Grimaldi dynasty, under the sovereignty of the Republic of Genoa. The Grimaldis acquired Menton in 1346 and Roquebrune in 1355, enlarging their possessions. These two towns (some 95% of the country's territory) were eventually ceded to France in 1861, according to the Franco-Monegasque Treaty. The Grimaldis used the title of Lord until 1612. 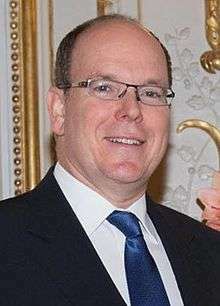 Then, Lord Honoré II started using the title of Prince, thereby becoming the first Prince of Monaco. 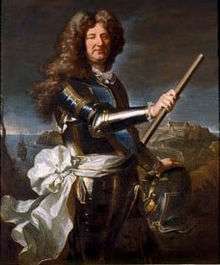 Afterwards, Honoré II secured recognition of his independent sovereignty from Spain in 1633, and then from France by the Treaty of Péronne in 1641. Since then the area has remained under the control of the Grimaldi family to the present day, except when under French control from February 24, 1793 to May 17, 1814. Francesco Grimaldi was the leader of a group of Genoese Guelphs that seized the Rock of Monaco. His cousin Rainier was the first Grimaldi ruler of the area now known as Monaco. Son of Rainier I, he retook the Rock from the Genoese. Won Menton (1346) and Roquebrune (1355). Yielded Monaco to the besieging Genoese for 20,000 fl. but retained Menton and Roquebrune. Sons of Rainier II, Jean, Ambroise and Antoine, bought back Monaco from Genoa and ruled it jointly until 1427. After Antoine's death, Jean bought out his brothers in exchange for the rule over Menton and Roquebrune. Monaco was occupied by the Duchy of Milan under the governorship of Genoese Biagio Assereto from 3 October to November 1436. On 20 November 1441, Jean gained sovereignty for Monaco. Jean's testament replaced the Lex Salica with Male-preference primogeniture, thus allowing for female succession. Abdicated in favour of her cousin Lamberto, whom she married in 1465. Starting in 1612, Honoré II was the first Monegasque ruler to adopt the personal style of Prince, to which the Grimaldi rulers of Monaco were already entitled to through their possession in Italy. Monaco as recognized as a sovereign principality by Philip IV of Spain in 1633 and by Louis XIII of France in the Treaty of Péronne of 1641. Left the country on 20 May 1732, with his brother-in-law, Antoine Grimaldi acting as regent. Abdicated on 7 November 1733. Until 28 November 1784 under the regency of his uncle, Antoine Grimaldi. Members: Louis Millo-Terrazzani, Horace Pretti de Saint-Ambroise, Antoine Sigaldi, Joseph Rey, Honoré Albini. Burke's Royal Families of the World, Vol. 1: Europe and Latin America. London: Burke's Publishing Co., 1977. ISBN 0-85011-029-7. Cahoon, Benjamin. "Monaco". World Statesmen. Retrieved 16 March 2005. Velde, François. "Monaco". Heraldica. Retrieved 25 March 2005.